Lennox has always belonged to a rarified class of artist wherein the sheer volume of her talent is usually enough to overcome any flaw or area that might be lacking in her work. 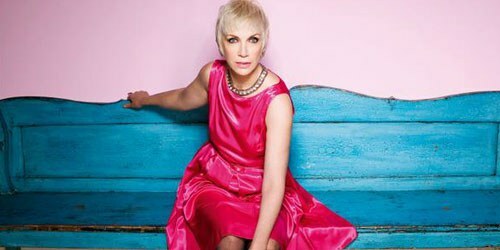 When an artist as celebrated and immensely gifted as Annie Lennox delivers an album, it is natural that the project be treated as somewhat of an event. This is especially true when the artist has a tendency to allow significant passages of time between records, as has Lennox. Her last album, Bare, came out in 2003 and she has managed just a handful of solo releases since Diva hit record stores in 1992. So, as her fourth solo project, Songs of Mass Destruction, emerges, the spotlight again shines on Lennox, both illuminating the glories of her past and lighting the way for new successes. Lennox's special ability to transcend stereotype or classification and communicate clearly and uniquely with listeners has been a large reason for her success both with the Eurythmics and as a solo performer. A maverick that has never lost touch with the mainstream, a trendsetter who has never left her audience behind in the dust of her innovation, Lennox proves yet again with this album why she remains such an inimitable force in popular music. Lennox has always belonged to a rarified class of artist wherein the sheer volume of her talent is usually enough to overcome any flaw or area that might be lacking in her work. When she is at her best, she's brilliant and when she's average, her work is still better than the vast majority of pop artists on the planet. Songs of Mass Destruction is further evidence to that end. While the project isn't an absolute masterpiece, it still leaves the listener with the feeling of having experienced something special. Devotees might have seen cause for alarm with the news that Lennox was partnering on the record with producer Glen Ballard rather than longtime collaborator Steve Lipson. While, over his career, Ballard has proved to have a sort of Midas touch in terms of turning out hit records such as Jagged Little Pill, he has also received criticism from fans of the artists he's worked with. The contention of these listeners has been that Ballard's influence, at times, has led to overly commercial and dumbed down work. This is most notably seen in fan response to his guidance on Dave Matthews Band's 2001 release Everyday. There is no need to fear a similar backlash for Songs of Mass Destruction; Ballard capably and artistically gives an assist to Lennox. He helps her find a suitable musical showcase for her trademark vocal prowess eleven times over. Lennox loses no aspect of her creative voice here, retaining every ounce of confidence, vulnerability and versatility that has long marked her work. Songs of Mass Destruction is an album that tackles subjects that are both universal and personal. While Lennox does a fine job of balancing the two, the album's best moments come in the form of emotionally transparent ballads. The ballads reinforce Lennox's ability as a songwriter to present her private feeling in a way that comes alive for those she has never met. Nowhere on the album is this more evident than on the gut wrenchingly beautiful "Lost". The song deserves mention in any future discussion of Lennox's best tracks. It’s gentle yet haunting, the combination of simple yet ethereal accompaniment and a brilliant layering of Lennox's vocals grant the song incredible resonance and power. Additionally, Lennox achieves great clarity and sensitivity on tracks like "Dark Road" and "Fingernail Moon", a pair of songs which bookend the album beautifully. The first starts with spare instrumentation, allowing Lennox's voice plenty of room to convey a world of emotion before building to a wonderful climax. The last is driven by warm, rich piano and features another stellar vocal performance. At times Lennox's voice trembles with feeling, at others it perfectly gives rise to expressions like "I've got nothing to hide / I've got nothing to lose" and "There's no need to be shy / there's no need to be scared." Though these ballads are where the album hits its creative apex, Lennox leads listeners through several quality upbeat numbers. "Love Is Blind" is full of attitude with its driving piano and call and response vocals while "Ghosts in My Machine" is a sonic mix of the most fertile rock of the Eurythmics and a driving world sound with its prominent use of accordion. A track likely to receive much attention is the star-studded "Sing" which press material refers to as a "soaring and powerful feminist anthem... born out of Annie's involvement with Nelson Mandela's 46664 and Treatment Action Campaign". Meant to further public consciousness on issues related to global HIV/AIDS, the song's message of empowerment and responsiveness is both clear and laudable. Unfortunately its presentation is less compelling. Featuring 23 highly notable female artists including Madonna, Sarah McLachlan, Celine Dion, Fergie, Faith Hill, Pink, Dido, Gladys Knight, kd lang, Angelique Kidjo, Bonnie Raitt, Shakira, Melissa Etheridge, Anastasia, Joss Stone and KT Tunstall, the song wants to be a collaborative chorus of power. Instead it is fairly generic musically and seems unrestrained and overly dramatic. The social unity called for in the song is not as well represented musically as Lennox and friends might wish. At a few other moments, Lennox's zeal for her material leads to some careless musical moments. For example, the faux hip-hop flavor, which transpires toward the end of “Womankind”, distracts from the power of Lennox's words and the song's strong chorus. Again, though, there is far more authenticity and fruit in Lennox's treatment of this song than would be likely from another artist. Songs of Mass Destruction is likely to resonate with those who recognize the unique quality of Lennox's work and there is enough of high artistic value here to allow the album to serve as another guarantee of Lennox's fine legacy, even if the spectacular musical moments are scattered around a bit more than on previous efforts.